A Spanish road trip demonstrates the complete obsolescence of standalone GPS. We were driving a rented Ford Fiesta from the ancient Spanish city of Tortosa toward the beaches on the Ebre Rver Delta. There was nothing around for miles (kilometers?) but rice fields and the occasional farmhouse. It looked like nothing had changed for centuries in this remote but beautiful area of the Spanish countryside. Yet the Tom-Tom GPS device that Sixt Car Rental had provided us somehow couldn't keep up. It couldn't figure out where we were, seemed to think that a railroad station parking lot was a major thoroughfare, and appeared unaware of the existence of more than one roundabout and other traffic features, leading to a fair amount of confusion and frustration. "Smithers," as we began calling the device's English-accented voice, was totally and completely lost. If it hadn't been for our smartphones, we might still be cruising the Ebre Delta, traveling in circles as we searched for the perfect plate of beachside Paella. We had rented Smithers in a misguided attempt to prevent overloading our data roaming limits as we drove from Barcelona to Valencia, a mistake we won't make again. We were also worried that we might be traveling outside of cellular data coverage areas. 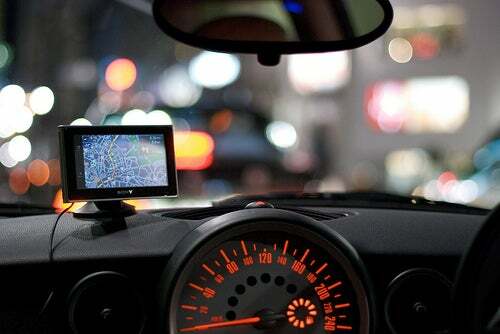 Apparently, we're not alone: In July, the New York Times noted that "TomTom's stand-alone GPS business is growing… as customers look for ways to avoid smartphone and data roaming charges when they cross international borders." That may be, but things didn't work out that way for us. While Smithers fumbled his way around the countryside, we enjoyed full smartphone coverage, even on a remote beach in the Parc Natural del Delta de l'Ebre. In retrospect, it should have been obvious that renting a standalone GPS, even in a foreign country, was a bad idea. Despite Tom Tom's European optimism, most research—not to mention the eyeball test—show that the market for standalone GPS units has been shrinking for years. Wired declared standalone GPS dead way back in 2012. In 2013, market leader Garmin's standalone GPS sales were tanking in the face of what Technology Review called "an unstoppable decline in demand for stand-alone GPS devices." That could be a reason why stock prices for Tom Tom and Garmin have fallen dramatically from their 2008 highs. While some still try to find reasons to use these devices, the fact is that smartphones actually do a better job in most cases. For example, the UI on our Tom Tom unit was so balky and inflexible that it was almost impossible to find and enter the destinations we were seeking. That was particularly true when the unit got us lost and we tried to enter new information quickly to get us reoriented. But perhaps the biggest issue was that it couldn't even find Sixt's own rental return location in Valencia, which both Google and Apple Maps located instantly. Just as troublesome, the unit was super slow, taking minutes to calculate positions and routes that our smartphones found in seconds. Given the differences in their market positions, it shouldn't be surprising that Google and Apple can devote more resources to keeping their maps updated than struggling standalone GPS companies. But I never expected to get such clear visual (if anecdotal) proof of that fact. 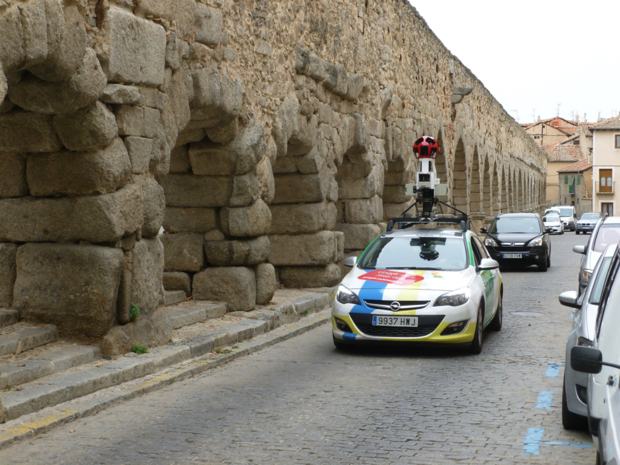 The picture below shows a Google Streetview car capturing information about the famous ancient Roman aqueduct in Segovia, Spain. I can't imagine a better metaphor for how smartphones now rule the world of GPS. Dedicated device makers had better be looking hard at a new business model. It's not that standalone GPS is as outdated as the aqueduct in the picture—after all, that construction was still carrying water well into the 20th Century—it's just that, given newer and better alternatives, these devices are rapidly becoming museum pieces. Even businesses still making money on standalone GPS seem to understand the problem. When told our tale of location woe, Sixt politely refunded the fee we paid for Smithers' company on our trip.